Opening, silently closing, and no God watching. Until we enter an estrangement which feels like home. No-one can create us again out of the dust. Hallowed be thy name, No-one. Who is not in heaven. Flowering now and for never. The voices of poets sometimes seem too soft and small to be heard these days. They drown easily in a cataract of prose. But good poetry, against appearances, is resilient and sharp. And its task, as Peter Abbs understands it, is to ‘break, blow, burn and make us new’. 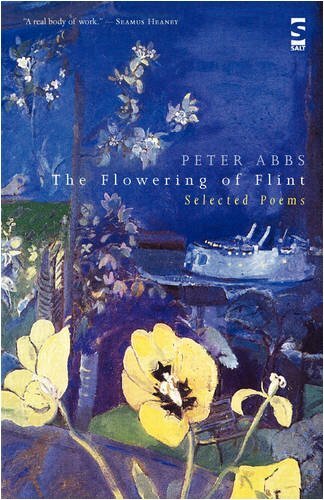 His latest collection, distilled from seven previous volumes as well as more recent work, display Mr Abbs as the brave and considerable poet he is: a seeker of the truth behind things, a metaphysician and perhaps above all an alchemist, with ‘burnt fingers, charred skin, cracked hands’. His poetry affects you, the way that things affect him. His power to recreate the direct feel of experience using the diapason of traditional poetic resources is perhaps the chief reason to read him. And you should. Of things. The incomparable whiteness of water lily. The purple globe of figs.